Mangaluru, March 9, 2018: Palakkad division of Southern Railway will operate a special fare special train between Kochuveli-Mangaluru junction. To clear extra rush of traffic, the following Special Fare Special Trains will operate between Kochuveli – Mangalore Jn. Train No.06053 Kochuveli – Mangalore Jn. special fare special train will leave Kochuveli at 6.35 pm on 23rd and 30th March, 2018 to reach Mangalore Jn. at 05.10 am the next day. Train No.06054 Mangalore Jn. – Kochuveli special fare special train will leave Mangalore Jn. at 3.40 pm on 25th March & 01st April 2018 to reach Kochuveli at 05.00 am the next day. 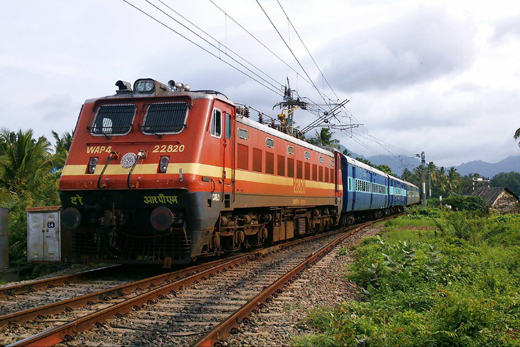 Stoppages: Kollam, Kayankulam, Chengannur, Tiruvalla, Kottayam, Ernakulam Town, Aluva, Thrisur, Shoranur, Kozhikode, Kannur and Kasargod.